Forget cute bows or baby suspenders. Diapers are the latest fashion accessory to hit the runway. 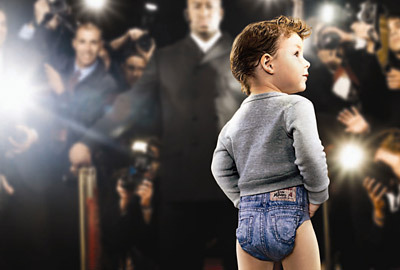 Kimberly-Clark’s Faux-Jean Huggies are flying off the shelves at local retailers. Similarly, P&G is countering with a limited-edition fashion offering of its own this month, a series of 11 diaper styles from designer Cynthia Rowley called “Pampers by Cynthia Rowley Collection,” available exclusively at Target and Target.com.